As Managing Director, Frank is responsible for driving the company’s strategy and development in line with the goals and aspirations of Mvine’s customers. Frank is a seasoned executive, entrepreneur and investor, with over 28 years of experience in building and leading successful technology businesses. His expertise in digital business goes back to 1995 when he co-founded one of the first online B2B portals, Martex Communicators. Martex was both profitable and successful, operating 26 separate business communities, and was later sold to Tarsus Group, where Frank remained as a Board director. Frank’s other executive roles have included Chairman of the Board at ChangeBASE, where he led the company to its successful acquisition by Quest Software (now part of Dell) in 2011. 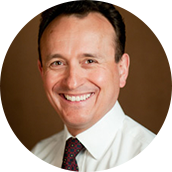 Frank has been a director of numerous other start-ups, including Knowledge Peers, as well as an angel investor. He holds a BSc in Physics from the University of Bath and is a Liveryman of the City of London. Watch Frank on the Telegraph website talk about the future of the internet and the challenges companies face in understanding and getting to grips with digitalisation. Raymond was the original creator of the Mvine platform. As Chief Technology Officer he is responsible for ensuring its security, robustness and performance, and leads its continuing evolution. Before co-founding Mvine with Frank Joshi in 2005, Raymond was a senior technologist at blue-chip companies including National Australia Bank Group, Credit Suisse, Sportech, ICL Fujitsu, IBM and Amdocs. 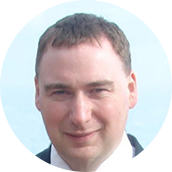 He has been responsible for the performance of a number of mission-critical enterprise systems, including telephone and internet banking and online gambling. Raymond holds a BSc (Hons) from the University of Glasgow, UK. Sabina leads the web development and operations team at Mvine, including its offshore operation in Eastern Europe. She is responsible for ensuring a seamless and engaging user experience for Mvine customers in all business functions. 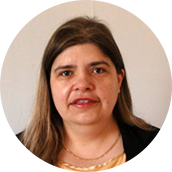 Sabina has over 15 years of commercial experience in enterprise web operations, spanning the entire lifecycle from design/innovation to delivery and management. Prior to joining Mvine in 2007 she held technical roles at NEC Europe, Ovum and Tarsus Group. Sabina holds a 1st Class BA (Hons) Degree from the University of Westminster and speaks four languages. She is also director of a UK charity that works for the benefit of disadvantaged children in Bulgaria. Warren assists and advises Mvine on the people side of our business. He is a seasoned Human Resources professional who has operated at Board and senior management levels within many well known firms, including: HSBC, EY, Aviva, EDF, Barclays Bank, Xstrata, Fidelity, GE and ING. Warren has consistently been able to deliver a variety of complex, challenging and international people projects, by focussing on the link between a modern, flexible and well motivated employee workforce, and the wider commercial and entrepreneurial success. Warren holds a BSc (Hons) from the University of Bath, UK, and is a member of MENSA. As Head of Business Operations, Ronald is responsible for directing and managing all of Mvine’s operations activities to ensure they are delivered in accordance with strategic objectives and client projects. 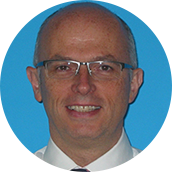 Ronald has over 13 years of senior management roles spanning from Operations, Business Analysis, Project Management, Account Management and IT Technical professional experience with multi-nationals, SME’s and start-ups. Prior to joining Mvine, ‘Ron’ worked at Nasdaq OMX as the Head of Global Implementations for the Global Communications PR Solutions division where he project-managed Fortune 500 & Forbes Global 2000 companies for over 3 years. Ron holds a BSc (Hons) in Business Information Technology from London South Bank University, UK. Joining in 2017 as Director of Marketing, Joseph brings 35 years experience in marketing and business development to the team. 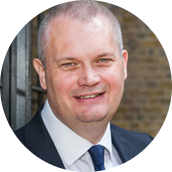 Prior to Mvine, he served for eight years as Head of Marketing at KCOM, a FTSE 250 listed business. 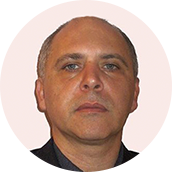 Joseph has worked across a wide spectrum of the computer industry, for example: UK and international vendors of proprietary and open source technologies, software authors, value added resellers of software and hardware, bootstrapping entrepreneurs, IT consultants, system integrators, managed service providers. This means that Joseph understands what he needs to do to translate sales and marketing activity into hard cash and solid reputation in the near term and beyond. As Mvine’s Senior Creative Designer, Mike leads clients and project teams on design ambiguity to clarity using his skills set of brand strategy and identity, social media, UX and UI. Mike has also designed print based collateral and exhibition stands to applications and browser based websites, thus continuing to strategically evolve the Mvine brand and platform solutions. 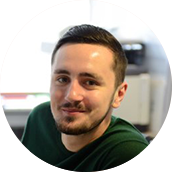 Mike has over 8 years of experience in brand and creative management, where he gained experience at fast-paced agencies such as DigitasLBi and DittoTV. Within Mvine, he is has developed further and learnt the Agile development approach from requirements gathering to mock-ups & rapid prototyping, and then onto full design build. 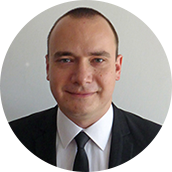 Dimitar joined the Mvine team in early 2012 as a front-end web platform developer. His knowledge and interest in computers and internet technology started from an early age and developed later in programming, image manipulation and animation becoming a profession and a hobby for him. 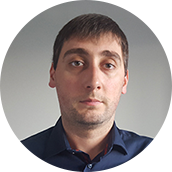 At Mvine, Dimitar is mainly responsible for creating HTML/CSS/JS, but also with his skills on design and programming helps with designs and back-end development. He is based in Varna, Bulgaria. 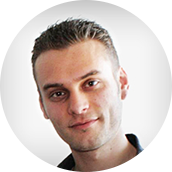 Todor joined the Mvine team in February 2012 as a Web Developer. He has over 12 years experience in the IT sector with over 10 years of those as a web developer, these include strong background in server-side development (php/c#/perl), front-end development (HTML, CSS, JS, Ajax), database management (MySQL, MS-SQL) and web design. Todor holds a bachelor degree in "Computer Systems" from the University of Economics in Varna and a Master degree in "Microsoft Informational Technologies" from the Technical University in Varna. He speaks 3 languages – Bulgarian, English & French. Mihayl joined Mvine in 2012 as a QA. As such he is responsible for the deployment and quality control of all new products and projects. An essential part of his role is daily monitoring of the server logs and flagging any potential treats and issues. Mihayl brings to the team 8+ years of experience in system and network administration in Apache / Tomcat, experience in manual and automated testing on data warehouse and web applications. Hi is passionate about evaluating and defining testing scope, approach, risks, and assumptions. The team relies on his functional and usability tests. Mihayl has an MSc in Automation and IT from the Technical University in Varna, Bulgaria. As part of the development team, Yordan is responsible for the development, deployment and quality control of Mvine products. Yordan has over 5 years of experience in the Software development field with every stage of the development cycle, from creation to quality control and deployment. 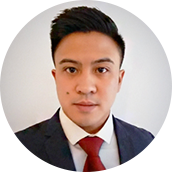 Before joining the Mvine team, Yordan have been involved in developing web applications for GIS Systems. Yordan holds a Bachelor's Degree in Computer Science from the Technical University in Varna, Bulgaria. Dani is a Senior Web Developer at MVine since 2010 maintaining development tasks related to specific customer requirements. 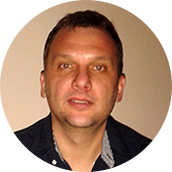 Dani holds a Master degree in Information Technologies from Technical University of Varna. More than 22 years of experience in software programming and web development having persistently updated skills in most of the popular web languages and technologies used for server or client side development. Prior to joining Mvine Dani had a wide experience in low level, high level and database programming holding positions as developer in companies as XiTeC Technologies GmbH and Active Solutions Eood.